Graduating is something every Tech student looks forward to. While students may “get out,” there always seems to be a little bit of Tech left in them. Whether that little piece is a thorn in your side, reminding you of a difficult time in your life, or a badge of honor proudly displayed to those around you, Tech will stick with us for the rest of our lives. It is for this reason why I’m concerned with the future of the Institute. Tech is currently at a crossroads: there is a large turnover in the administration and it seems that students are beginning to become restless when it comes to certain key issues. Where Tech goes from here will decide the direction of the Institute for the next five to ten years. What worries me the most about this is that a vast majority of students are seemingly apathetic to all of this. Those students who are involved in the goings-on of campus will almost always be interested in these issues; however, more students need to be engaged for our interests to be heard. Apathy among students is not uncommon. It seems that all too often we are too busy to care, but this attitude must be eradicated, especially when it comes to our future and our wellbeing. A huge issue students face today on campus is mental health. There are students who are trying to do something, and I understand that not all students have the time to put in the effort required to build institutional change, but there are certain things all students can do to ensure these changes happen. First, support and stay updated on the results of the action teams created in support of Path Forward. This is quite possibly the biggest one. Currently, the Path Forward initiative has moved into the implementation of the recommendations given by the three original action teams. My problem at this point is a lack of communication on what is currently occurring. Of the nearly 200 recommendations given by the action teams, the advisory group in charge of implementation took each one and gave it an implementation objective and any expected outcomes. This update only came after students in the Student Government Association (SGA) pushed members of the advisory group to publish what they were doing. Furthermore, these updates aren’t even really updates. They’re filled with phrases such as “consider” or “enhance understanding” or any other buzzwords you can really think of. And at the end of the day, not many people are raising their voices over it. It seems that the Institute wants to continue to forego actual change and instead of telling the students that, they’re hoping that if they don’t say anything they won’t notice. So far, students really haven’t realized it. As more and more students get out and leave Tech even fewer students will even remember the Path Forward Initiative and how it began. This cycle of apathy is present in so many facets of Tech campus. The students don’t care about something that affects their daily lives, and whoever is in charge of that problem doesn’t care enough to change it. Second, students can find a hobby on campus, politically motivated or not. One of the key selling points that any college, university or institution talks about when convincing prospective students to attend is a large, diverse set of student organizations. 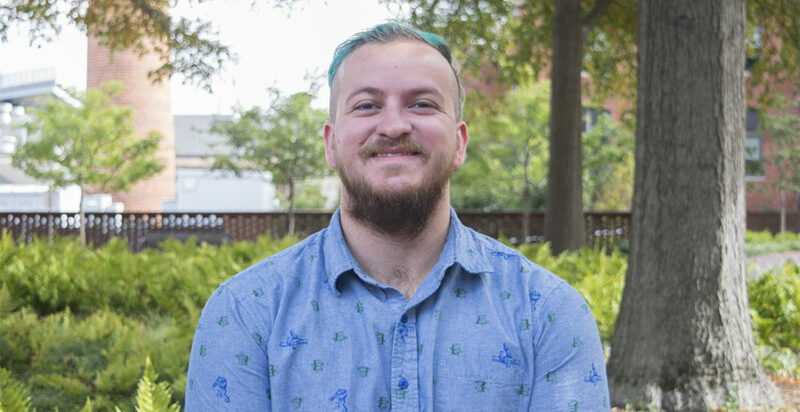 By getting involved in at least one student organization, students attending Tech can at least get a glimpse into the lives of other students and maybe even see into the inner workings of campus politics. Speaking of those campus politics, another place on campus that students could stand to look is at SGA. SGA doesn’t like to say it but a large portion of their job is acting as an ATM for student organizations. SGA, and more specifically the Undergraduate House of Representatives (UHR) and the Graduate Student Senate (GSS), decide who does and doesn’t get funding they request. Many students beyond those who truly have their fingers on the pulse of campus are in student organizations that request funding from SGA. For some students, whether or not they can actually participate in a hobby they have is held in the balance by other students handling millions of dollars in funds. Yet, if you pick a random student on campus to tell you one single member of UHR or GSS, most of them wouldn’t know, nor would they know when UHR and GSS meet to discuss the bills they see every week. In the end, there are two groups who can fix the problems currently facing campus: the students, or those in charge. Right now, those in charge haven’t shown that they’re willing to put in enough effort to solve things, so the students must take a little extra time every day to stay in the know and put in the effort to care about their education and the Institute. Whether that means taking the five minutes to find who represents you in UHR and GSS and talking to them or joining a student organization, there are ways students can take action.